Kim Waugh Racing Stables :: White Boots Finishes Gallant 2nd and Goathland 3rd in G3! 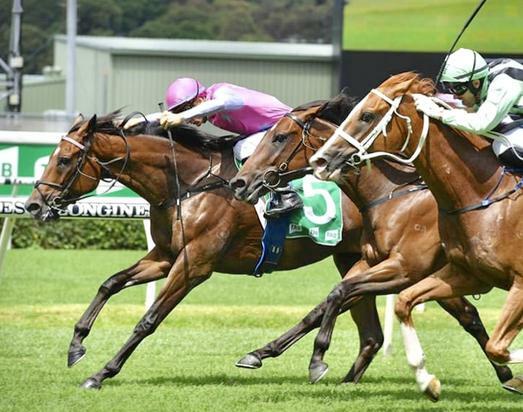 Whilst Safado failed to fire on the heavy 10 surface last Saturday at Rosehill, his stablemates White Boots and Goathland certainly paved the way for the team with fantastic runs in their respective races. 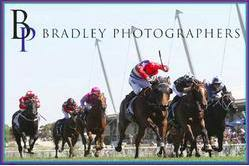 Goathland was probably a bit stiff not to have finished closer when he ran 3rd in the G3 2000m Sky High Stakes. Travelling 2nd throughout he seemed to lose ground just after the 800m which saw him pushed wide and off the pace. Brought to the outside on straightening, he really gobbled up the ground late indicating he would have finished a clear 2nd had he not dropped back at a crucial stage. White Boots once again showed why he is a stable favourite with yet another super consistent placing - finishing 2nd in the BM 78 over 1900m. Boots was forced to do plenty of work from his outside gate to stride forward and settle on-pace so it was another gallant and gutsy effort from the 4yo!